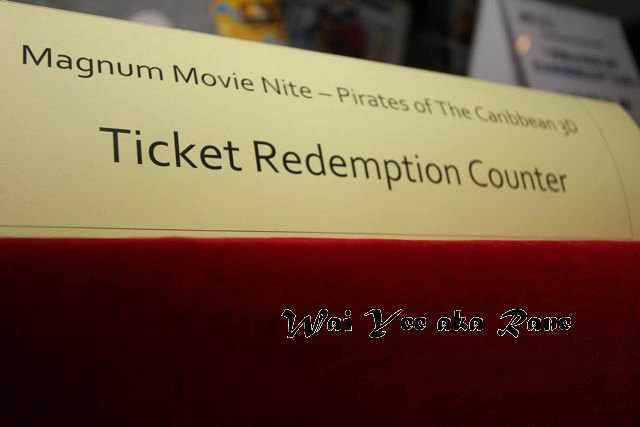 Thanks to Magnum4D, me and my friends have enjoyed Pirates of the Caribbean On Stranger Tides movie in 3D for FREE! Magnum is very kind to provide everyone free pop corns and soft drink/mineral water too. Fans who provided previous Magnum draw ticket also get an ang pao. It's RM 2 vouchers x 4 in each ang pao.